The phrase sounds simple enough: cognitive enhancement. “Cognitive” more or less refers to thought and “enhancement” to improvement, so voilà — cognitive enhancement must mean improved thinking. And that’s often how the topic gets framed. But sociologist Scott Vrecko just published a paper suggesting that our current picture of enhancement is incomplete. In a recent article for AJOB Neuroscience, Vrecko addressed what he saw as a big hole in enhancement literature: in-depth descriptions of how these pills change the way people feel, not just how they think. His study focused on the most immediate issue within enhancement, stimulant use by college students who don’t have learning or attention disorders. To explore this topic, Vrecko — who was a CNS fellow last year — interviewed 24 former or current university students who take stimulants as enhancers. His results? Students didn’t describe the pills as making them brilliant thinkers. Rather, the drugs seemed to have their biggest impact in making tedious work less, well, miserable. Based on their responses, Vrecko identified four emotion-related areas where subjects felt improved on meds. Those areas are “feeling up,” “drivenness,” “interestedness” and “enjoyment.” As their labels imply, all four seem to involve motivation. And as anyone who has ever worked or studied knows, different motivation levels can mean very different emotional experiences. Feeling unmotivated can be stressful, depressing and numbing — quite a contrast from the buzz we might feel when we’re ready to get things done. 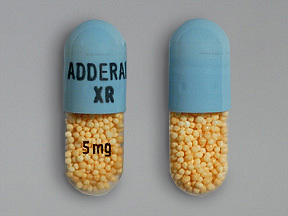 For some students, that’s where stimulants like Adderall come in: to make boring work seem fun. Or at the very least, it makes them so driven they won’t so much as glance at their phones, email or Facebook accounts — a massive feat in our age group — until they finish everything. Being that focused certainly involves cognition. But even so, when these students explain why they take stimulants, it sounds like what they really rely on is the change in mood. Long story short, we need to appreciate that emotions are a big part of the way cognitive enhancers work. And looking more at emotion might encourage clinicians to confront ethical issues beyond the ones that typically dominate discussions on enhancement. When these pills are seen as strictly improving cognition, ethical concerns revolve around fairness. More specifically, we ask how we can ensure equal access to a resource that can make people think better. We also wonder whether academic achievement becomes less meaningful when aided by pills. But in considering enhancement’s emotional side, other problems take center stage. Bursting with excitement over eight hours of astronomy homework sounds great. On the other hand, these academic “highs” can help facilitate dependence. Moreover, enhancement may represent a band-aid solution to deeper problems with our work culture. Should students use pills that make them complacent toward work they hate doing? Or should they be introspecting about the choices that make them take on unappealing work in the first place? These are all worthwhile questions for future enhancement research. I’m also curious about the quality of the work students produce on stimulants, which this paper doesn’t cover. But regardless, Vrecko’s sounded an alarm.